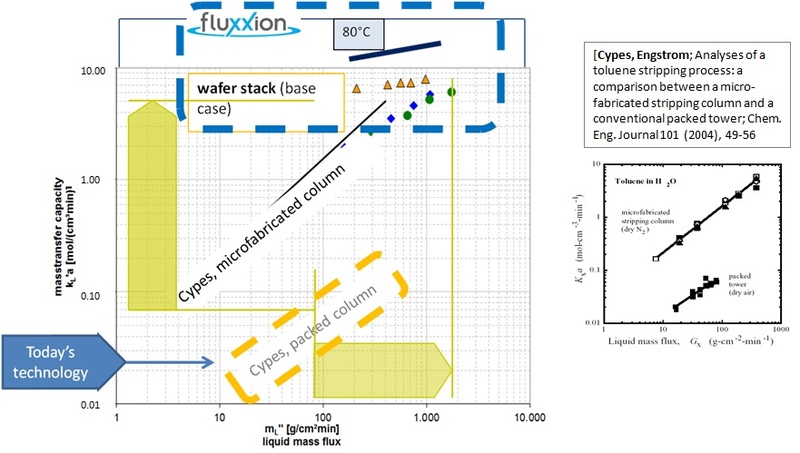 In this second part of the series on the Fluxxion metallic membrane we are going to discuss two applications. Below we show the gas liquid interface that occurs at each pore. The following example demonstrates the stripping of Methyl Tert-Butyl Ether (MTBE) from water with the Fluxxion Metallic Membrane. 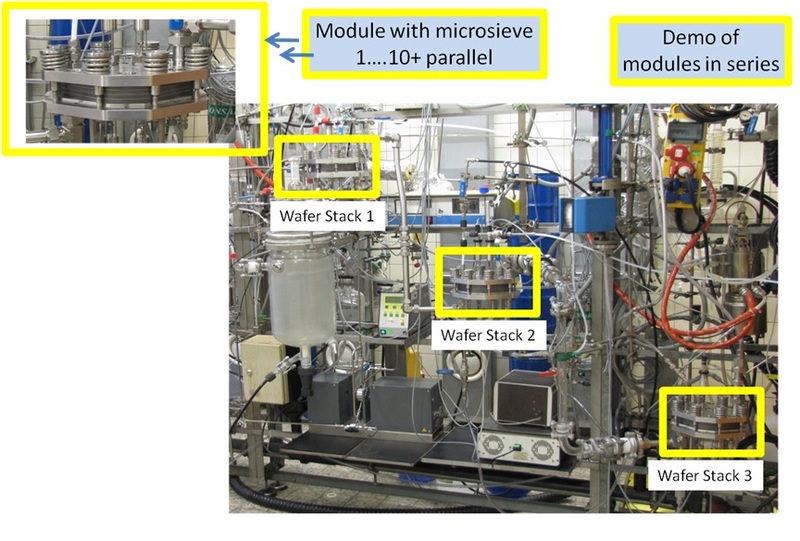 The stripping MTBE from water by nitrogen at ambient conditions was used as a test system for performance evaluation purposes. 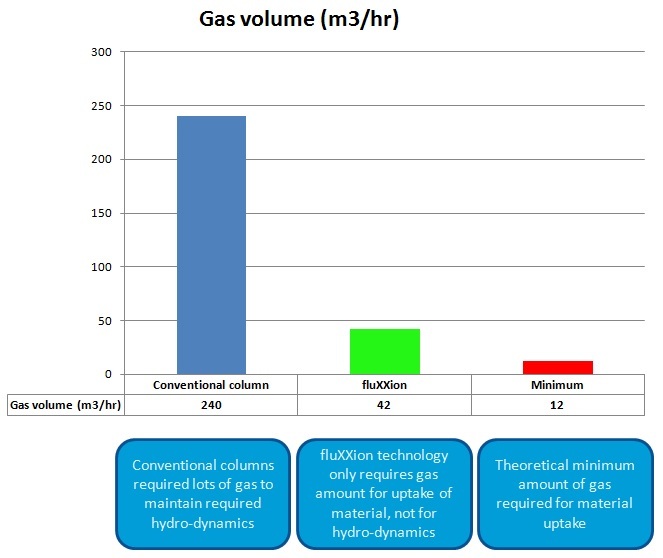 Inlet concentration of MTBE, different flow rates for liquid and gas were varied in a wide range. The best efficiency was achieved in all cases at lowest liquid flow rate, and tended to decrease progressively with increasing liquid flow rate, i.e. decreasing residence time. 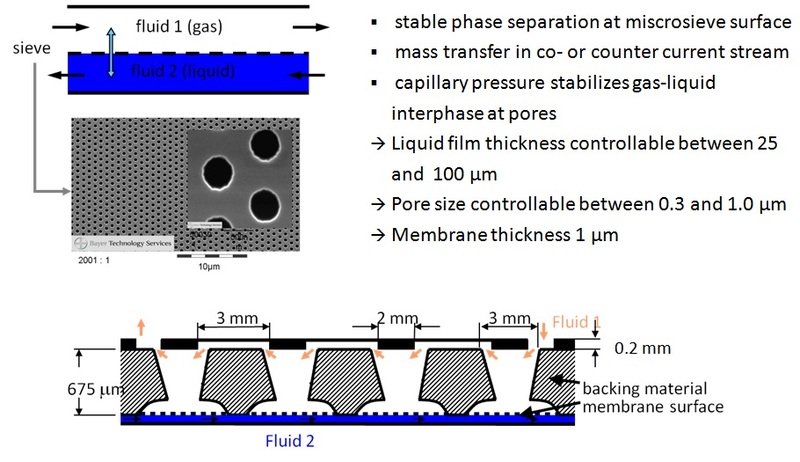 Gas flow rate exhibited practically no effect on separation, indicating that this system also can be considered as fully controlled by liquid side mass transfer resistance. Since the value of the overall liquid side based volumetric mass transfer coefficient was almost constant, the overall height of liquid side transfer unit (HTUoL) increased nearly proportionally and ranged 0.5-4 cm . The corresponding heights equivalent to a theoretical plate (HETP values) were 2 to 10 cm. These numbers indicate a high mass transfer efficiency, an order of magnitude above that experienced with common types and sizes of corrugated sheet structured packing in similar applications. The process industries are ready for an alternative solution to separation technologies. Fluxxion Metallic Membranes offers such an alternative. Call COSTELLO today to help you with your Fluxxion unit!